We formulate quality talc for paint industry that reinforces the paint films and prevents sagging. Widely acknowledged for chemical inertness and high fusion point, our major consumers are well-known paint industries in international market. Talc has a lamellar (layered) molecular structure and the layers are weakly bonded to one another and can thus slide over one another. This helps the paint to slide smoothly on the surface it is being applied on. Improved durability of the applied paint:. Talc is hydrophobic in nature and therefore offers the paint film resistance to wet scrubbing. Talc protects the paint from UV radiation. Talc is chemically inert and does not react with air, acid, water etc. Talc is an excellent carrier for anti-corrosive primers. Individual layers of talc are strong. Therefore, its presence strengthens the paint film. Talc has high whiteness and therefore interferes minimally with the shade of the pigment. Talc has high brightness due to which the paint doesn’t dull in appearance. Talc lessens the requirement of solvent for the pigment, thereby causing minimum dilution of pigment as well as improving cost. 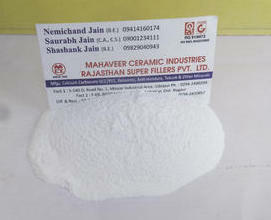 Talc is used in production of decorative paints, industrial coatings, pigment pastes, primers, enamels, adhesives, putties and other products of the industry. Talc is an important industrial mineral. It is an important filler material for paints. We formulate quality talc for paint industry that reinforces the paint films and prevents sagging.